We welcome Dr Meron Barak M.D., who will speak on “‘Anxiety disorders in childhood – an Anthroposophic perspective’ on Thursday 15th February at 7.30 pm at the Melbourne Rudolf Steiner Seminar. 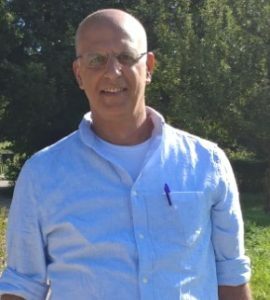 Dr Barak is from Israel and has worked for the last 25 years as a family doctor and a psychotherapist with Anthroposophic medicine, focusing on psychiatry, curative education and school medicine. He has also taught in the faculty of medicine -Technion in Haifa, at Waldorf teachers’ seminars and doctors’ seminars for Anthroposophic medicine and in the Camphill community in Norway. Please arrive at 7.15 pm, $5.00 entry. All welcome. Melbourne Rudolf Steiner Seminar, 37A Wellington Park Drive, Warranwood VIC 3134.